We're Dublin's only YHA and Hostelling International member and the only hostel in Dublin to win the prestigious HI-Quality Award. Established 75 years ago, we're located at the start of the St Patrick's Day parade route, with free breakfast, free car parking and free Wi-Fi. We have ensuite private rooms and dorms, all with lockers in the room. Our continental breakfast is included in the price. Our features include self-catering and recycling facilities, conference and meeting rooms, a book exchange (take one, leave one!) and bicycle storage. Our games room is open 24hrs and features a TV as well as games available to hire. If you're driving we offer a free private car park for both coach and car. From reception, you can take advantage of discounted rates on tours and attractions all over Dublin city and beyond, as well as towel hire and international phone cards and phones. Our friendly staff are happy to help and can even reserve you a room in any of our 27 Irish hostels of our 6000 HI hostels worldwide! We're located just four minutes' walk from Dublin city centre and there's no curfew, so you can come and go as you please. As if this wasn't enough, you can also use our outside garden area! 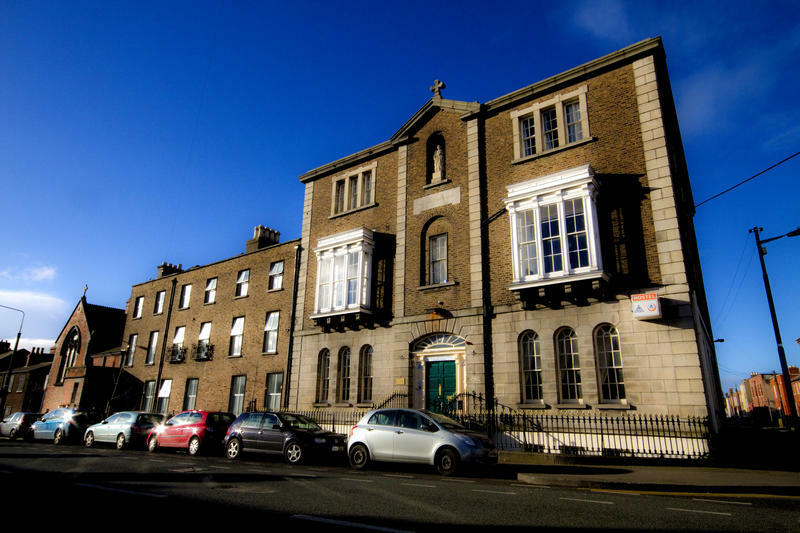 Dublin International Youth Hostels building has, in its time, been a convent, a church and a school for the community and still bears the marks of these times. Perhaps the most obvious example is the old nuns' chapel which has been converted into a restaurant. 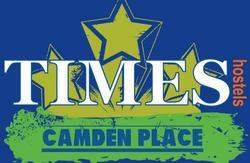 Check out our deals tab above for our unbeatable offers (does not include special event weekends)! Please note that children under the age of 16 years cannot be in the dormitory rooms. Families must choose private rooms for sole use if travelling with children under 16years of age - please contact the hostel if unsure. Look for a pub on the left side called 'Temple Pub' and push the bell to alight at the upcoming stop. Cross to the right hand side of Upper Dorset St to the Punto Oro Shop and take the one way street to the left of the shop called Blessington St walk to the end of this street and take a left at the orange an black shop 'Deli Suz' on to Mountjoy St. 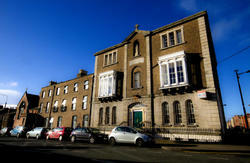 The Dublin International Hostel is 100metres on the right hand side of the street, number 61 Mountjoy Street, with the green door and hanging baskets. 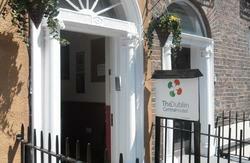 At the end of Blessington Street, turn left at Deli Suz onto Mountjoy St. The bus will take a sharp right past the Black Church onto Mountjoy Street. Push the buzzer and the bus will stop next door to the hostel outside the Mountjoy Street Centra. Go out of the station and to the LUAS tram station, a ticket will cost E2.00 Take tram to O'Connell St (Connelly Station direction). On O'Connell street follow directions from O'Connell Street above. Take the Dublin bus 46A (â‚¬0.50) from outside the McDonald's to the right of the GPO. Push buzzer after you turn right at a large church in the middle of the road (The Black Church) the bus stops outside Mountjoy St Centra, the hostel is next door to the left. walk North up the length of O'Connell St, continue up Parnell Square East, Nth.Frederick St., Blessington St. and turn left at Deli Suz into Mountjoy St, we are number 61.